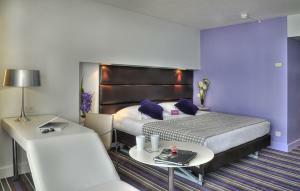 This Mercure Hotel is located in Nice on the Promenade des Anglais. 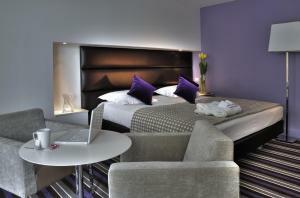 This sea front hotel is just 750 metres from Old Nice and offers soundproofed accommodation with free Wi-Fi. 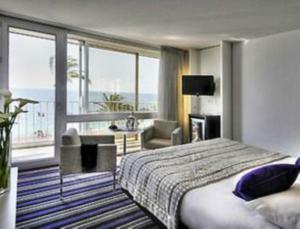 Each guest room at the Mercure Nice Promenade Des Anglais is air-conditioned and equipped with a minibar and a flat-screen TV with satellite channels. 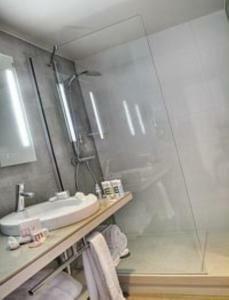 The en suite bathrooms have either a bath or shower. 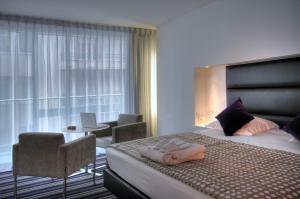 Some rooms also have balconies and sea views. Breakfast is served daily at the hotel and can be enjoyed by guests in their room upon request. The hotel offers a 24-hour reception desk. 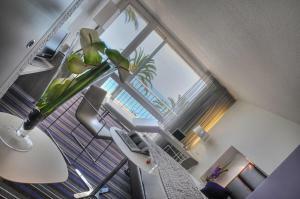 The beach is just a 2-minute walk from the Nice Promenade Des Anglais Mercure Hotel. 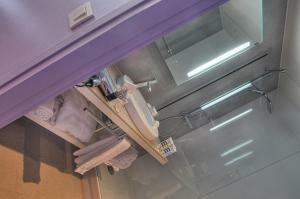 The hotel is located 1.6 km from Nice train station and 6.9 km from Nice International Airport. Nice Acropolis Convention Centre is 1.8 km away.